Though a bit smaller, the professional design, organization, and versatility of the Aer Flight Pack make it optimal for shorter trips and urban travel. Aer has released an updated version of this pack, view our Aer Flight Pack 2 Review. The little brother of the Aer Travel Pack we reviewed a few months back, the Aer Flight Pack was designed with the work traveler in mind. 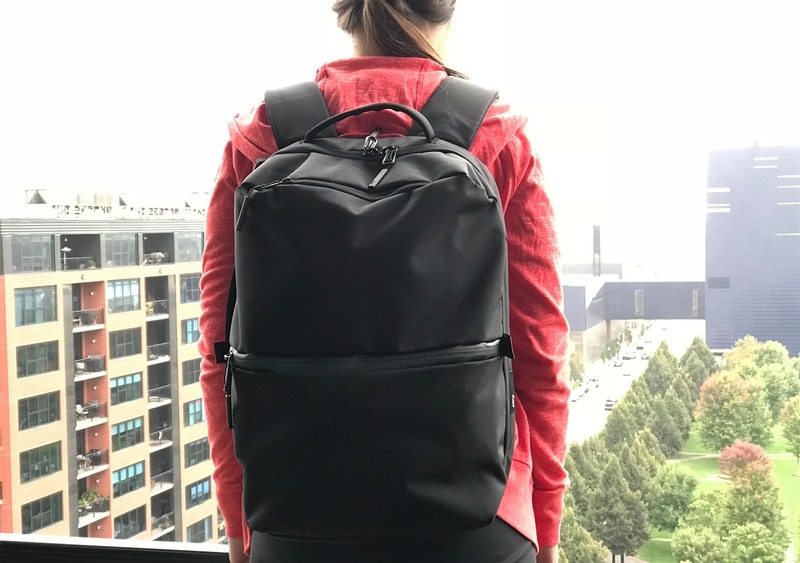 This pack shouldn’t be your go-to for long-haul travel, but it’s a great choice for short trips and the everyday backpack user who doesn’t like trudging through cities looking like a college freshman (unless you are one, in that case, stay in school). This bag means business—literally. The slick low-profile design is arguably formal enough for professional meetings, but informal enough to use on a daily basis. In addition to the sleek look it gives off, the water-resistant Cordura® ballistic nylon is incredibly durable. Also durable are the water-resistant YKK zippers on the outside of the pack. You won’t be able to leave this sucker out in the rain for an extended amount of time but, if it’s zipped up tight, it’ll keep your belongings dry while you hustle to the nearest overhang. 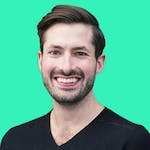 Let’s talk size. This bag notches in at 12.5” x 19” x 5.5” (32 x 38 x 14 cm), 2.9 lbs (1.32 kg), with a 23.6L capacity. 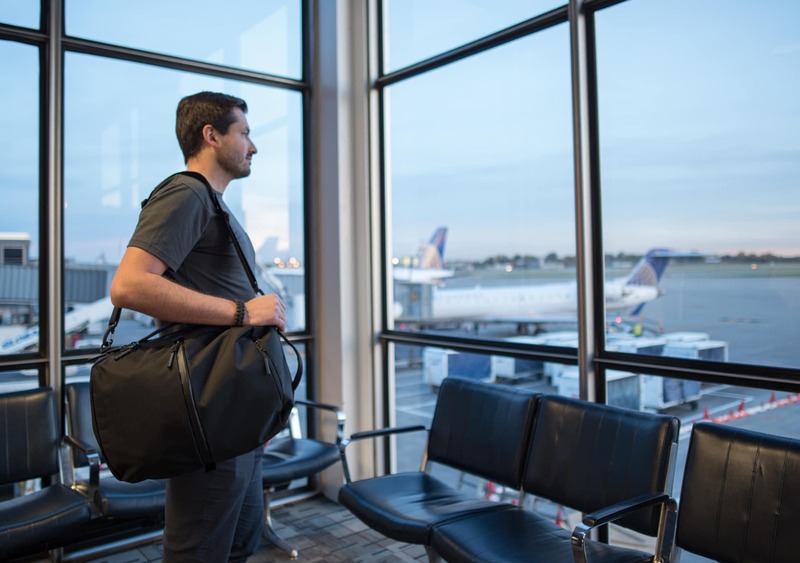 It’s a great size for weaving through the airport and will stow nicely below most plane seats—with a name like flight pack, it better. The outside front of the pack has two pockets. The top, quick access pocket is clutch for stowing your phone, wallet, passport and any other random knick knack you might find in your pocket right before going through airport security. The bottom pocket has smaller compartments for pens and other items you might need in a pinch, but it can be tough to get at when the main clamshell of the pack is stuffed. When it comes to bag organization, Aer knows what they’re doing. The inside of the pack contains three neatly designed cascading sections. This is less than what you get with the travel pack, of course, but there’s only room for so many bells and whistles when you’re opting for the smaller pack. You also won’t be able to “fully” open this pack to lay it completely flat like you can with the travel pack, but the clamshell design gets you close enough. The main pocket is for a laptop. Yes, that’s correct, this pack does not have a separate laptop compartment like you might expect to find. The spot where it should be is reserved for hiding pack straps—we’ll get to that later. Having to open up the pack to get at a laptop adds a level of complexity we’d rather not deal with, but you can’t always get what you want. Really though, we’re just being dramatic—having to store the laptop inside the pack isn’t all that bad. 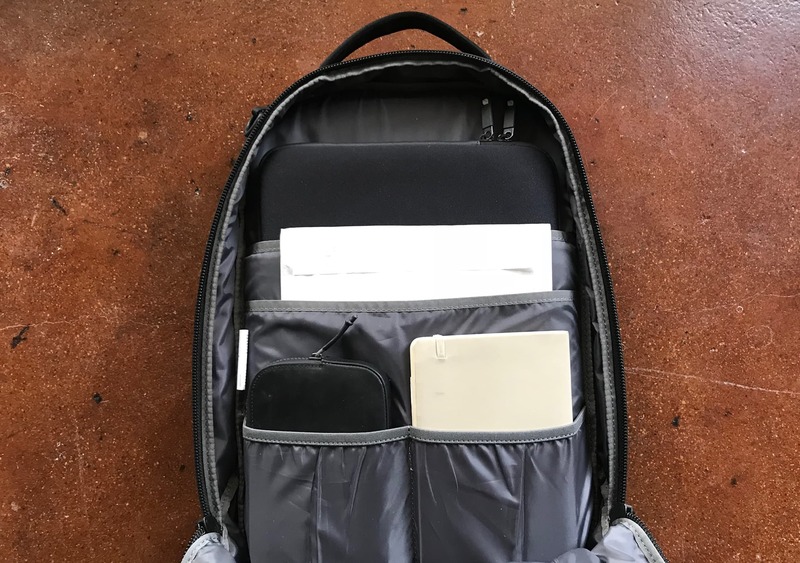 The back side of the laptop pocket provides more than enough protection, though the thin mesh liner on the inside may warrant a separate laptop case if you’re worried about damage from other things inside your pack. The second, thinner organizational pocket is about ⅞ the size of the laptop pocket. It could be used to store a notebook or the SkyMall catalog you nabbed from the seat back pocket after seeing that incredibly useful pet hammock you just have to have (said no one ever). The third section is split into two smaller accessory compartments. These are great for storing various cords, headphones and other things that might get tangled up or lost amidst the sea of a larger pocket. In addition to the smaller pockets, there’s also a zippered mesh pocket on the opposite side of the bag which acts as another handy spot for storing other miscellaneous items you want to keep separate from everything else. The straps on this bag make it versatile in ways not seen in other bags—ways you may not necessarily need, but it’s a cool option to have if you’re into that sort of thing. What are we talking about exactly? This pack can actually be used in three ways—a backpack (duh), a briefcase and a shoulder bag. Whether or not you believe stowing away the removable backpack straps and using the side handle actually makes it a briefcase, it is a thing that you can do. 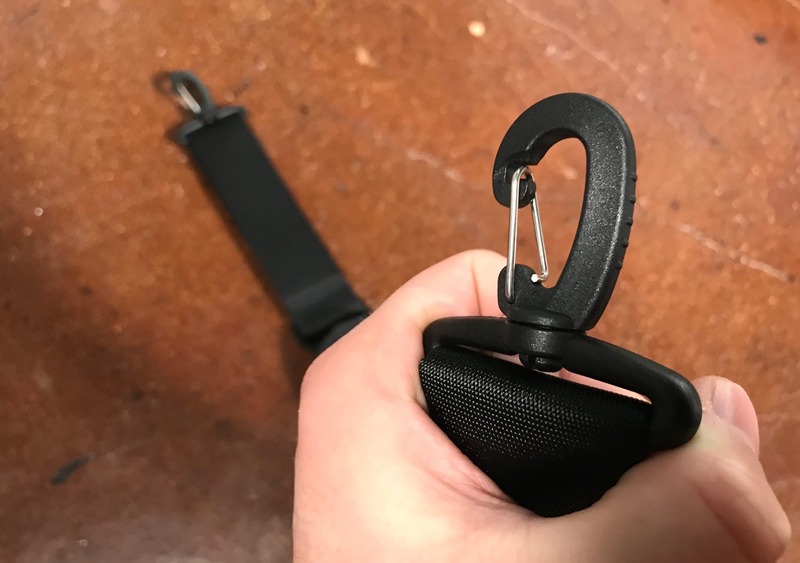 The straps unclip easily from the bottom D rings and tuck neatly into the back flap, though this area could benefit from a velcro strap to keep it more snug. The bag doesn’t always hang completely balanced when utilizing the slightly offset side handle—that clamshell zipper alters its ability to achieve perfect gravity (science and stuff). The side handle is still definitely useful, but more for short distance carrying and pulling the pack from overhead bins. Converting to a shoulder/duffle bag is a bit more believable with the padded shoulder strap that comes inside the pack. Unlike some of the louder packs that offer this feature, the minimal design of the flight pack is polished enough to get away with it. When it comes to strength, the straps on the flight pack are intended for less weight and thus are a little less robust than those on the travel pack. You can definitely feel the separated framing inside and the straps sort of “smush” around a bit making for a slightly “cardboard-between-fabric-feel”. But the straps look and feel great on the shoulders when the pack is in use. If that weight is still too much for your back (or you’re just feeling lazy), there’s a nifty opening in the back panel that enables you to slip your luggage handle through. To note: this is in the same compartment that the backpack straps can slide into for storage. The padding on this bag isn’t messing around. The foam backing is extremely padded, so much so that it might even improve your posture (there are worse things). The top and side handles are also nicely padded—an occasionally overlooked but always appreciated feature. The shorter height of the pack does cause it to sit a little differently on taller folks due to a slightly curved frame sheet, with some pressure coming from the bottom. We also noticed the frame sheet sometimes moves and flexes a bit as it is a little on the flimsy side. As of this review we’ve been using this bad boy intermittently for about two months. That being said, with the quality of materials and our experience with other Aer products, we’re optimistic it’ll hold up well and look good while doing it. Check out the usage timeline below for additional detail. Pack looks great right out of the box. We’re a little hesitant about the lack of a separate laptop compartment, but are looking forward to utilizing the many well-organized compartments. The pack itself is still going strong but we ran into an issue with the messenger bag strap—the metal part of the clip popped out of place. Easy fix with a little elbow grease and the pack is good as new. Sharp & sleek design. 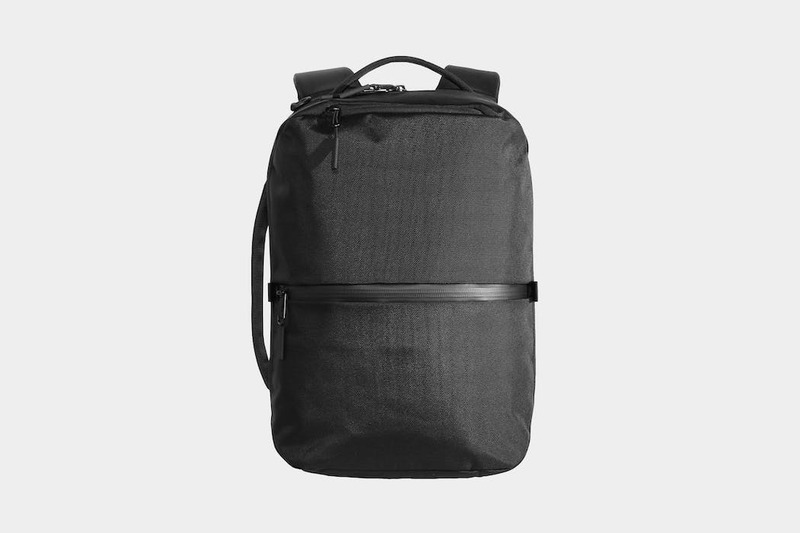 About as professional as you can get for a backpack with the durable materials Aer uses. Great organizational design. Though it’s smaller than some other packs, it utilizes the space very well. Made of tough, durable materials. Straps and the liners within aren’t incredibly strong, but they are sufficient for the weight this pack is intended to carry. Pocket for hideaway straps takes away space that could be used to carry a laptop in a separate sleeve. Pack sits a little uncomfortably at times due to the smaller size and curve of the frame sheet. The Aer Flight Pack is great for those who prefer a smaller, more professional looking carry on for urban travel. What this pack lacks in size, it more than makes up for in organization, design and versatility—so if you’re willing to compromise a bit on capacity, this bag is a solid choice for short trips, a day pack, and everyday use.